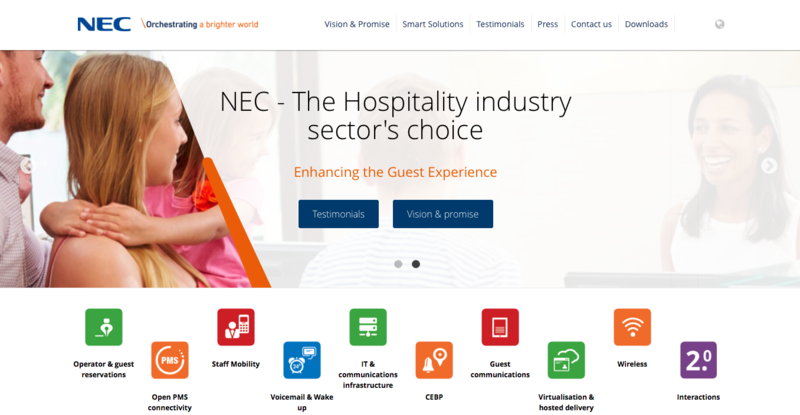 Cetis-NEC Smart Hospitality partnership helps ensure positive guest experiences throughout EMEA region. Building upon an established and long-standing hospitality industry partnership, Cetis and NEC Enterprise Solutions cooperate to deliver innovative Communication/Endpoint bundling solutions preferred by hotels throughout Europe, Middle East, and Africa (EMEA). The NEC Smart Hospitality program leverages the power of partnership to provide hoteliers with IT & Communication platforms for delivering authentic, optimized services that allow each guest to enjoy a relaxed and pleasant hotel stay. "Across all major geographic regions NEC is one of the key suppliers of choice to the Hospitality industry. Our experience makes us truly understand the sector, says Kees van Donk, Director Hospitality EMEA at NEC Enterprise Solutions. "By merging leading IT and Communication network technologies, we deploy solutions with the scalability, capability and affordability to meet the demanding business needs of hotels, event centers, cruiselines and travel organizations," he adds. facilitate deliverables with stylish guestroom phones, modular solution components, and dedicated services," he concludes. To contact NEC Enterprise Solutions, visit https://www.nec-enterprise.com/, call +31 35 689 91 11, or email hospitality@emea.nec.com. ​To contact Cetis (EA), Ltd., visit http://www.cetisgroup.com, call +44 (0)1908 904860, or write info@cetis.com. Stylish 4+ star Rydges Wellington New Zealand hotel chooses beautifully engineered TeleMatrix brand 9600 Series hotel phones. Cetis has announced the installation of 320 telephones by channel partner TrendTek Australia Pty Ltd., at the Rydges Wellington hotel located at 75 Featherston St, Pipitea, Wellington 6011, New Zealand. The model chosen was the TeleMatrix 9600MWD single-line, black, 10-button analog cordless hotel telephone. According to Tony Chau, Managing Director, Trendtek, “As one of the most popular cordless hotel phones in the world, we usually recommend TeleMatrix 9600 Series phones because of their proven record of rugged dependability, complemented by a rich feature set, including AutoSync handset pairing, multiple handset kit options and colors, OneTouch® message retrieval, RJ45 Ethernet PassThrough port, and optional battery backup,” he concludes. 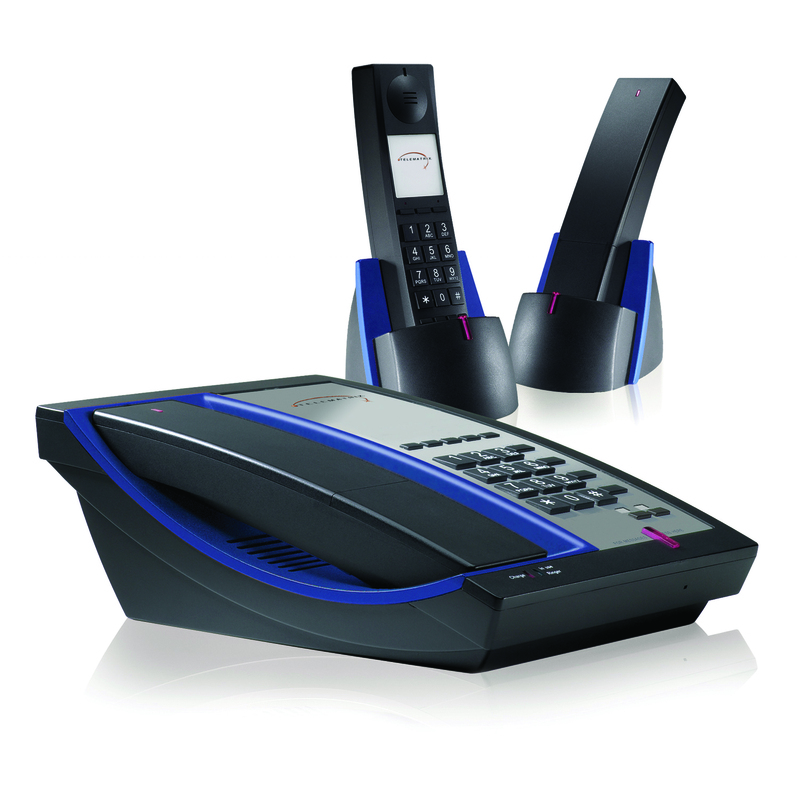 TeleMatrix 9600 Series telephones are available in single and two-line analog or VoIP cordless configurations. Rydges Wellington is centrally located on downtown Featherston Street with a unique combination of harbor and city outlooks. The Wellington accommodation is within walking distance to Lambton Quay, Westpac Stadium, Queens Wharf and Wellington Railway Station making it ideally positioned in the heart of the capital. Rydges Wellington welcomes business and leisure travelers with their downtown location, stylish rooms, and signature Kiwi service. The Wellington hotel is a landmark in the capital with connections to city highlights and the award winning Portlander Restaurant. This 4+ star hotel offers 280 Wellington accommodation rooms for business and leisure guests who can take advantage of their 24-hour reception, concierge, iPads for guests, Free WI-FI throughout, and leisure center with fitness studio, spa, sauna and indoor lap pool. All rooms feature kitchenettes with microwave, toaster & refrigerator, individually controlled heating & air-conditioning, work desk, flat screen LCD TV, FREE WI-FI, hair dryer, laptop size in-room safe, and tea & coffee making facilities. According to Douglas Tjong, Director of Sales, Asia, Cetis Inc., "TeleMatrix brand hotel phones are beautifully engineered to the highest standards for quality and reliability. With bold design, smart features, and legendary performance, TeleMatrix Series phones make perfect sense for hotel guests. 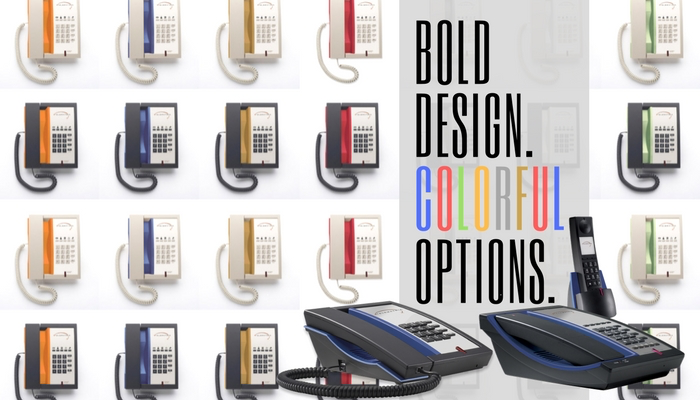 Hoteliers may choose from 7 standard or custom color handset accents to match any room décor and coordinate style with functionality,” he concludes. Click here to book reservations at Rydges Wellington, or call + 64 4 4998686. ​Click here for TeleMatrix brand product and pricing details, here to write TrendTek, or call your TrendTek representative at +612 9680 7711. Beautifully engineered TeleMatrix 3300 Series phones are available in single and two-line analog and VoIP corded configurations with 7 optional standard handset accent colors, a convenient PassThrough RJ45 Ethernet port, and patented OneTouch voice mail retrieval. Choose matching 3300TRM trimline for bathroom and common area applications. Carper Company and Cetis partnership. 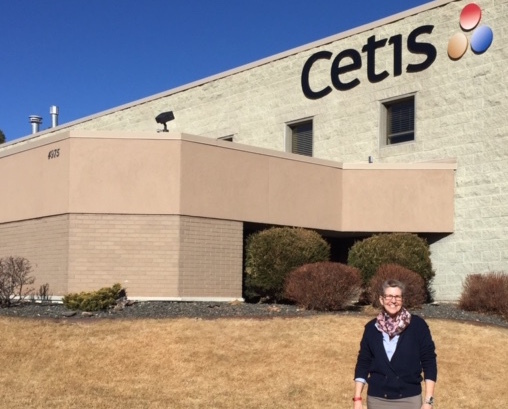 Wendy Drayton visits Cetis, and shares hospitality industry insights. 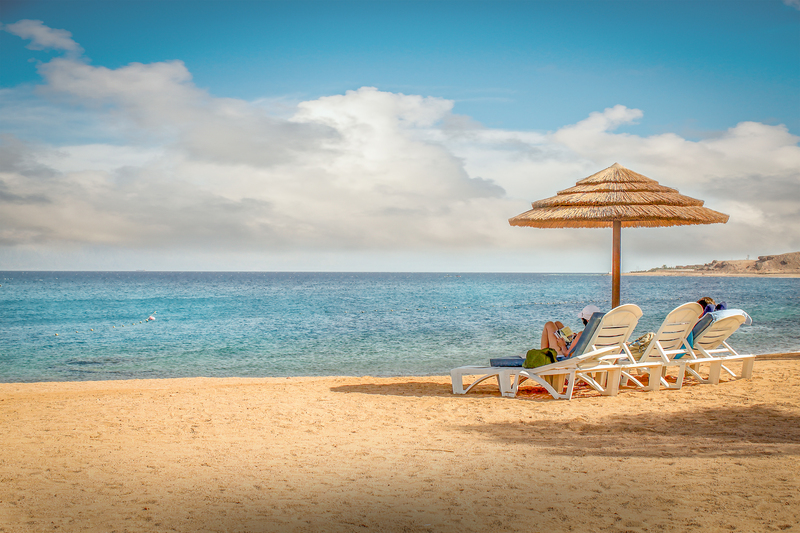 It may be quiet at the beach right now, but whether its Spring Break, an incoming convention, a seasonal shift in occupancy, or just a busy weekend, don't get caught with vacant rooms due to a missing or malfunctioning room phone, a broken handset cord, or beverage spill on the phone. Now is the time to avoid Out-Of-Order (OOO), or Out-Of-Service (OSS) rooms by ordering spare and replacement room phones.Click here to request a phone quotation, or here to arrange a consultation. The ultimate guide to email marketing for hotels. ​Email marketing is about two things: targeted segmentation and a high standard for content. Nobody wants mass advertising in their inbox. Smart hotels and brands have moved away from the mass broadcasting of spammy emails, and are now focusing on personalized, permission-based email delivery; and they are seeing their revenues go up. It’s time for you to do the same. This is my guide to email marketing done right. Segment or PerishBefore any effort has been put into the content and design of your email campaign, you have to do some strategic planning. The most important and very first step is to segment and define your audience. I dislike mega lists (aka, “everyone gets the same email “). So, unless your hotel is changing its name, brand, ownership, or shutting down…you have no acceptable reason to send everyone in your email database the same exact message! You can also segment by the last time someone interacted with you or opened your last email blast. The more you segment, the better the outcome of your email campaign is going to be. Just like in life, you cannot be all things to all people, all the time. Proper segmentation parts the clouds and makes it easier for you to answer the next crucial question: What are you going to say? They want to receive deals and discounts. They want to learn about seasonal local events. They are interested in your food and beverage experience. They like knowing what you are up to. There are a few ways to figure out what topics most interest your email recipients. You can test different kinds of content, and see which users reply to different types of emails. You can also ask them some questions when they sign up (see below). Once you know their intent, you can match the segmented users to the right content. I travel a lot for business, and I also travel a lot for fun. As a result, my email address ends up being in a lot of brand and independent hotel databases. So, I get to see plenty of poor email marketing campaigns. For example, Marriott sent me the following email with “deals” for destinations all over the US map.